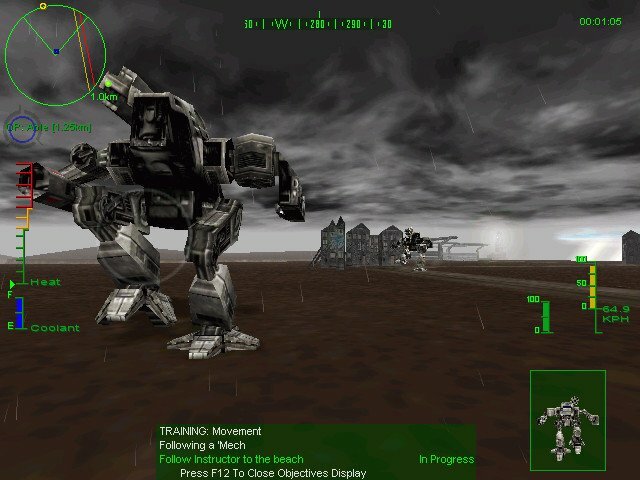 A stomping great MechWarrior sequel. 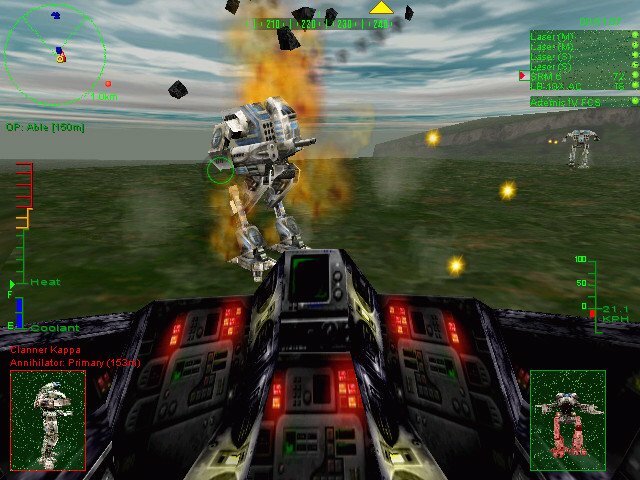 There was some worry when the BattleTech license passed from Activision to MicroProse, as people wondered what was to become of their beloved giant-robot game. 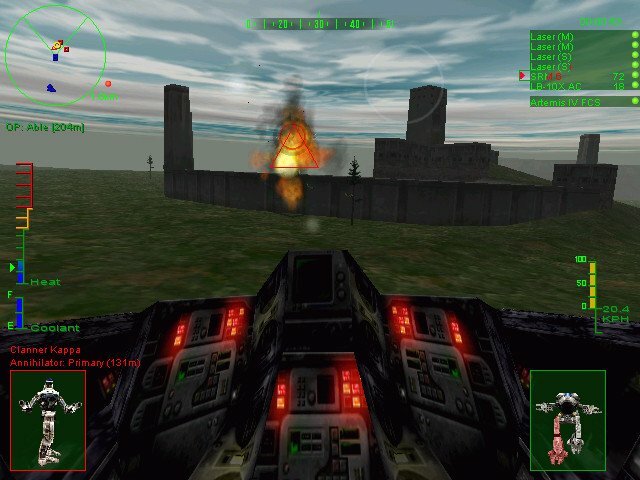 MicroProse initially planned to have FASA Interactive develop MechWarrior 3, but technical problems have delayed that project until 1999. Needing something a bit sooner, MicroProse pushed FASA’s project back to MechWarrior 4, and contracted Zipper to develop MechWarrior 3. It was all rather confusing. Luckily, things seemed to have worked out in the end. 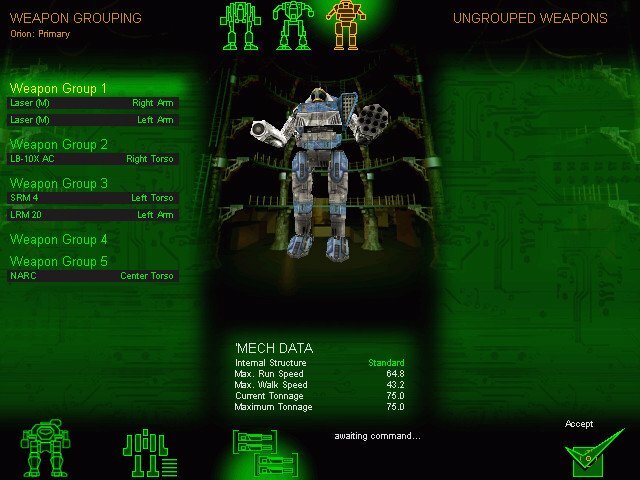 MechWarrior 3 honors the tradition of steady improvement by weighing in as the best Battletech game at that point. 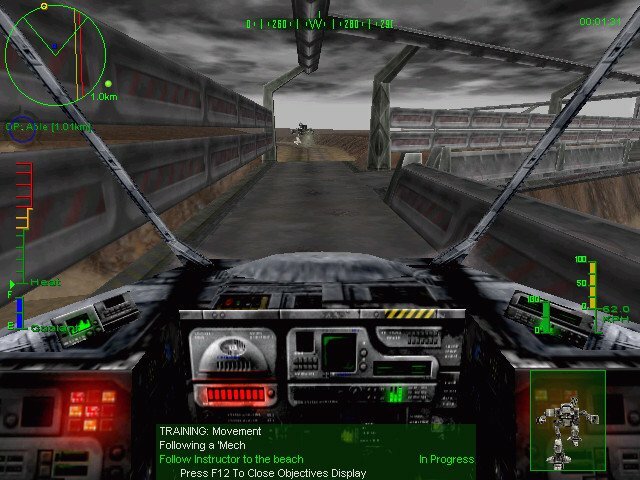 From the moment the game starts it is evident that the people behind tha license treated it with the same respect as Activision, and you’ll be glad to know it retains that familiar MechWarrior feel. 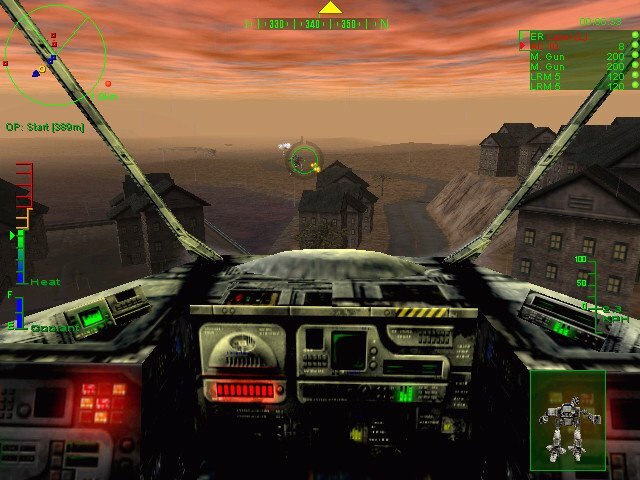 From the HUD to the mission objectives to the overall visual style of the game, there is enough of Mechwarrior 2 and Mercenaries in the game itself to make the change in publishers irrelevant. 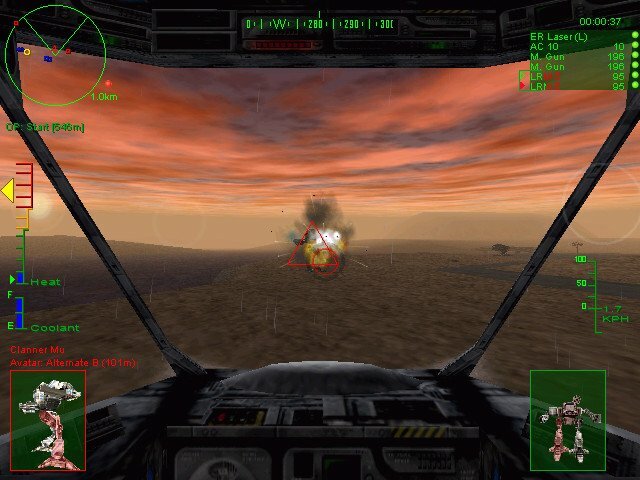 The single-player campaign is broken down into four “operations” of four to six missions each, for a total of 20 missions. 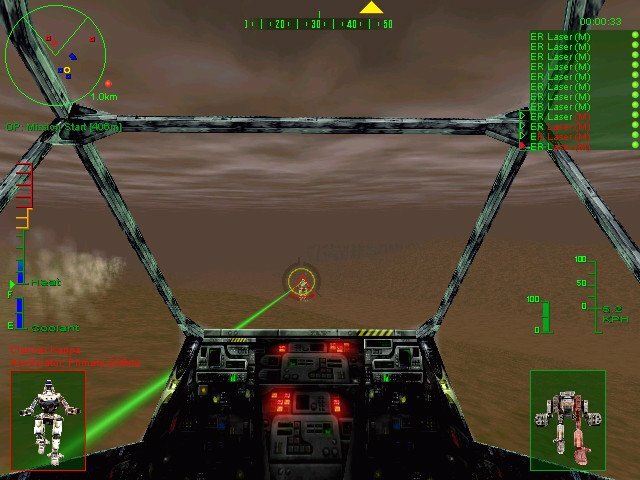 The missions are fairly lengthy, but no more so than those of X-Wing Alliance. 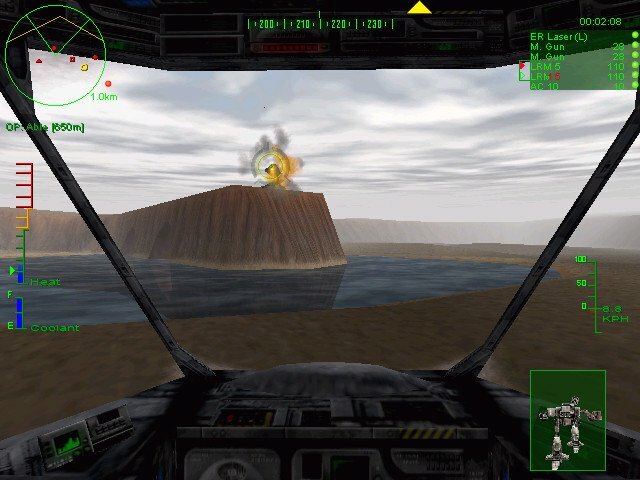 Four instant action maps and 8 multiplayer maps help sweeten the pot, but they are not really a replacement for another 12 campaign missions. The lack of an in-mission save feature adds to play time, but not in a good way. 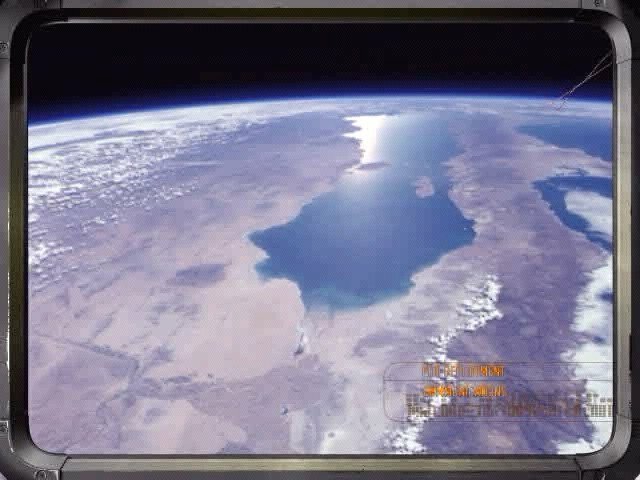 Few in number though they may be, the missions are all well crafted. Of the changes that the game does feature, almost all are improvements. 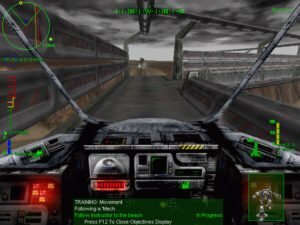 Without making the game significantly more complex, Zipper has improved on the “sim” feel of the Mechwarrior games to a great degree. A number simple but very useful additions to the interface contribute to this. 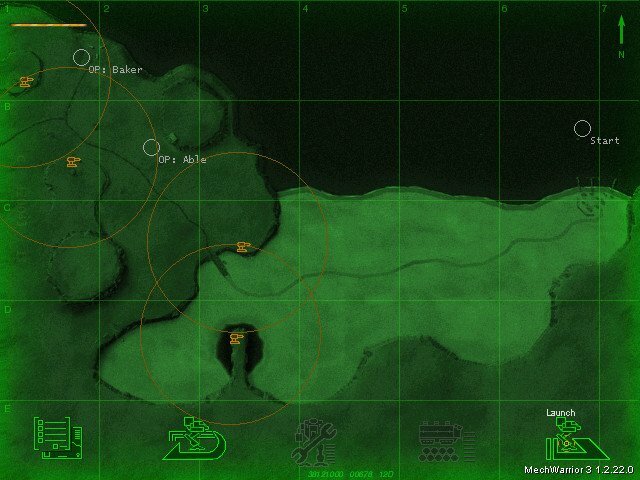 Radar now features multiple modes; active radar works as it has in past games, but passive radar makes your Mech more difficult to detect at the expense of reduced range (shutting down entirely is still the most effective way of eluding enemy sensors). 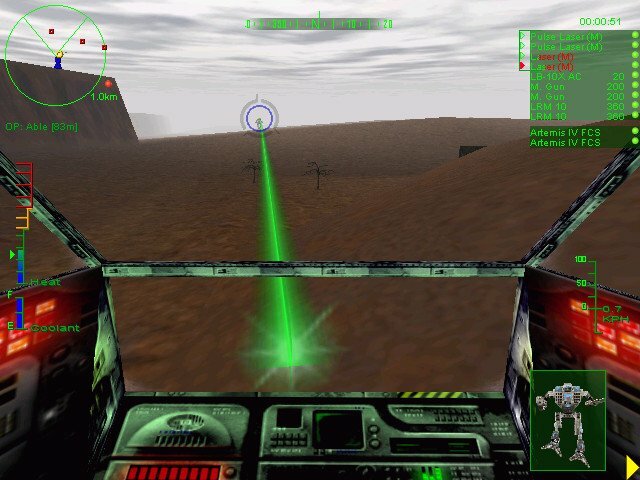 The targeting reticule can be expanded into a small but effective zoom view that is so useful for long-distance targeting that players will wonder how they ever got along without it. Aiming options have been expanded as well—the traditional torso twist is still a vital combat element, but now players can also “unlock” the targeting reticule and aim it independently of torso orientation via mouse or joystick. 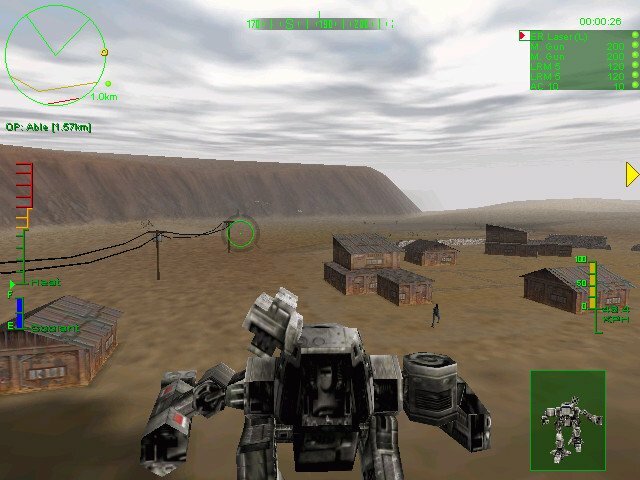 Weapon locations play a larger role in this aiming mode – it is impossible to aim left with a weapon mounted on a Mech’s right arm short of torso twisting in the appropriate direction. A new twist has been added to heat management as well – Mechs now feature coolant reserves that can be dumped to instantly reduce heat to zero. The catch is that the reserve only holds enough coolant to allow players to do this three times before refilling at the Mobile Field Base. One thing that will not create logistical headaches (not in a bad way, at least) is the game’s salvage engine. 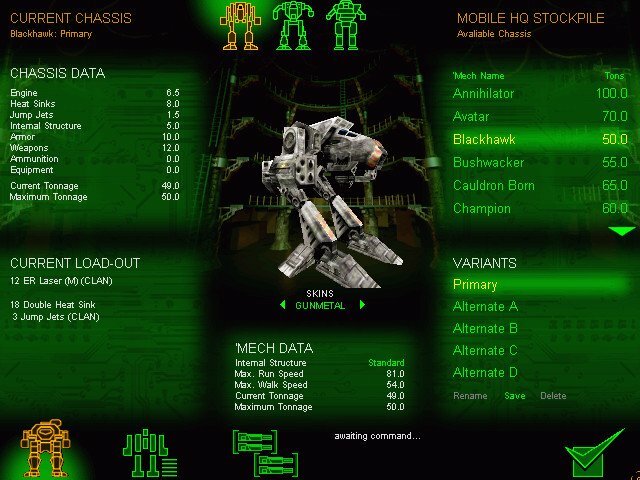 While players do not earn money for completing missions, they do gain salvage and new ‘Mechs that can be carried in the MFB and used to augment offensive capabilities of both the player and AI lancemates. Engineer wannabes will be pleased to see that Mech building is still a vital element in the game. It is quite easy to spend more time in the Mech Lab than you do in the missions, and with 900 tons of salvage to work with, the Lab is a tweaker’s dream come true. 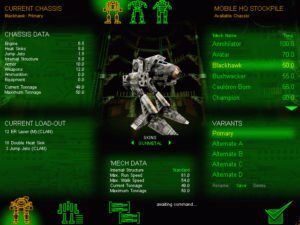 In all, MechWarrior 3 has all the right touches in all the right places, and it would be even better if the campaign mode were longer. A few expansion packs are underway, extending the play value to a game that certainly deserves it. 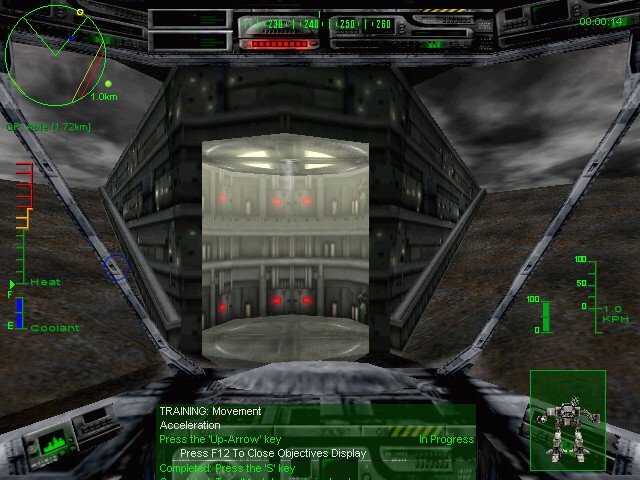 Could you upload MechWarrior 4 Vengeance please?